Every 9 minutes, a child in Texas experiences abuse or neglect. Nearly 4,000 children in the Houston area have experienced such life-threatening abuse or neglect that they had to be removed from their homes and placed in foster care. 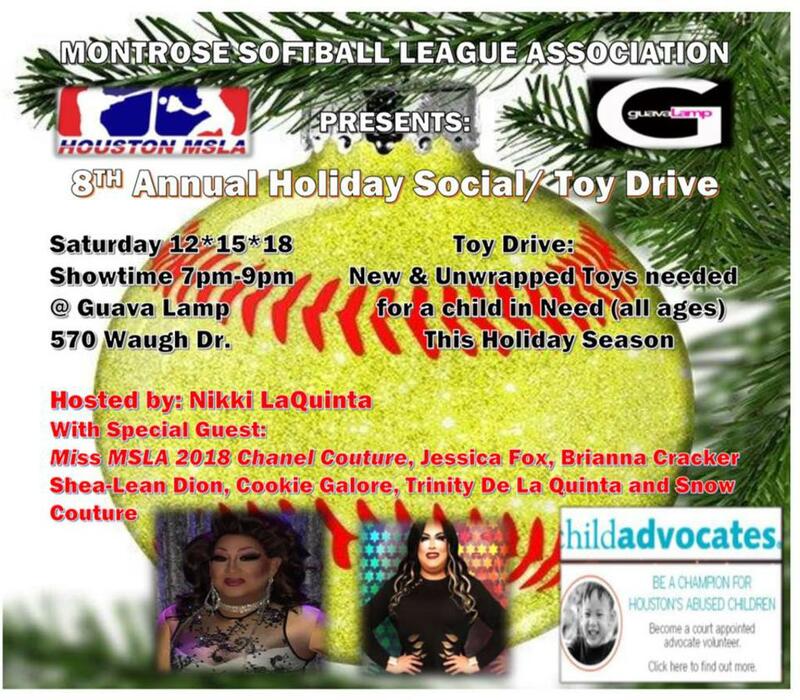 MSLA is proud to announce its 8th annual Holiday Toy Drive — and this year we are in need of special toys for some very special children. Your generosity will go to children served by Child Advocates (ages newborn to 18 years). The items Child Advocates receives through toy drives help Santa with last minute gifts for children who don't have a sponsor. Additionally, toy drive items help Santa ensure that siblings receive an equal number of gifts. Check their frequent wish list for additional suggestions.